Southern Mom Loves: DIY Boho Braided Leather Headband + 7 Damaging Hair Habits and How to Fix Them! 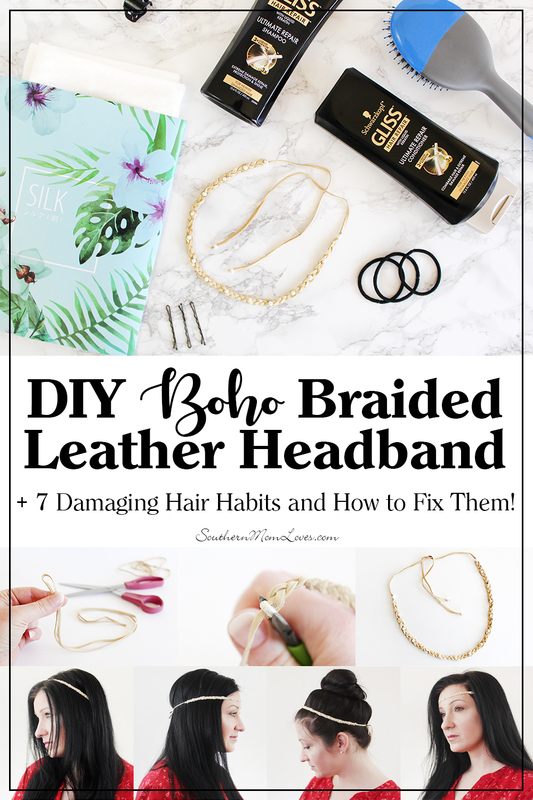 DIY Boho Braided Leather Headband + 7 Damaging Hair Habits and How to Fix Them! 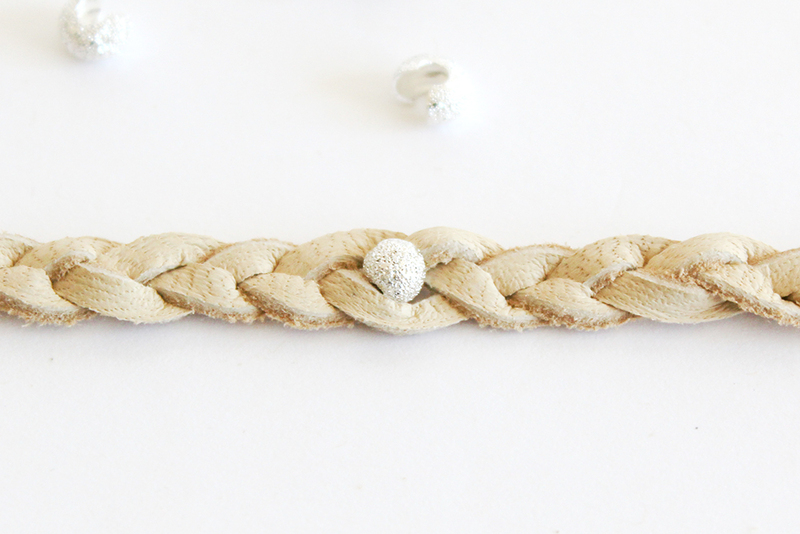 The weather is warming up and I'm celebrating with a fun new DIY for a boho Braided Leather Headband with a bit of extra bling! Keep reading for a tutorial so you can make one for yourself. 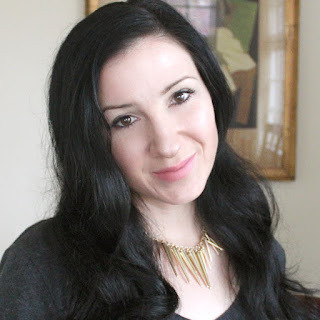 I'll also show you 4 fun ways to wear it and tell you how to fix the 7 most damaging hair habits that will keep your tresses looking their best. I wanted to start by showing you some fun ways to mix up the look of this headband. I'm trying to find more interesting ways to wear my hair down, but also wanted to give you ladies who love updos a way to wear it while up, too. Yes, the same thing that cleans our hair can also damage our hair. Salt water and chlorinated water are the worst offenders. Every time you wet your hair, your color fades and leaving your hair wet for too long causes the hair to swell, which can cause splits and breakages. Water is the number one reason why you can still find that your hair is breaking or has split ends even if you never blow-dry your hair. The Fix: Swimming caps for salt and chlorinated water or wash hair directly after exposure and limit your time in the pool. It’s a myth that you should brush your hair a hundred times a day to have healthy shiny hair. It doesn’t help at all. It’s also more likely that brushing the wrong way is damaging your. This is called mechanical damage. The Fix: Be extra gentle when brushing your hair and it’s worth investing in a good quality brush. 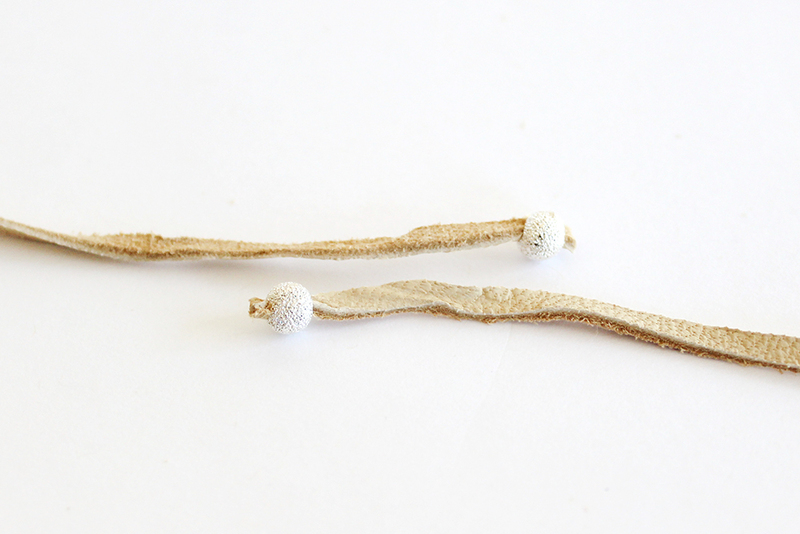 Dirt from your hands transfers across to your hair making it heavy and limp. The constant touching causes breakage as well. The Fix: Note to self, keep your hands out of your hair! 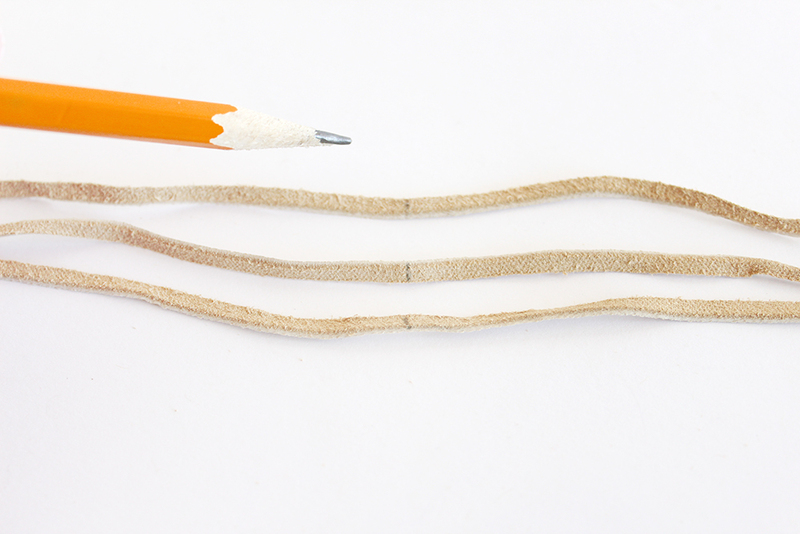 The Fix: Here’s a tip to make these bands and accessories safer to use. When you’re removing them from your hair, spritz them with a leave-in conditioner spray and also spray some on the ends of your hair. It will help the bands and clips will slide right out, plus you treat your hair at the same time. It’s a win-win. Wearing a shoulder bag or cross body bag, you’re often catching your hair underneath the strap. 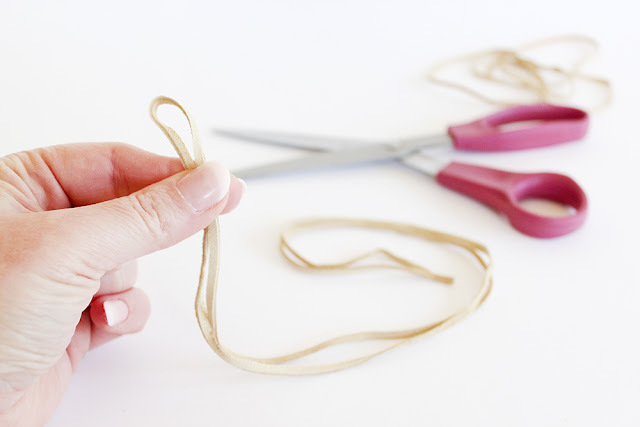 That regular wear and tear on the same side of your head causes split end breakages. Eventually your hair will just snap off. The Fix: Take care that hair is well out of the way of bag straps. Not putting your hair to bed properly at night is also causing damage. 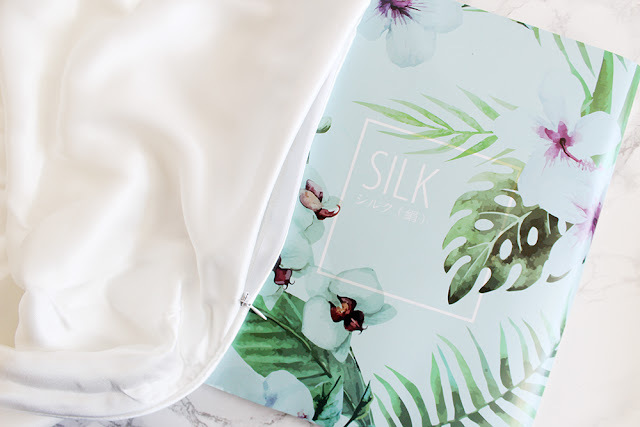 A cotton pillowcase will rough up your hair during the night and also help dry it out. The Fix: I didn’t really think that a pillowcase would make a big difference until I switched to silk. Not only is it so much smoother on your hair, it reduces frizz and stops those pillow creases forming. 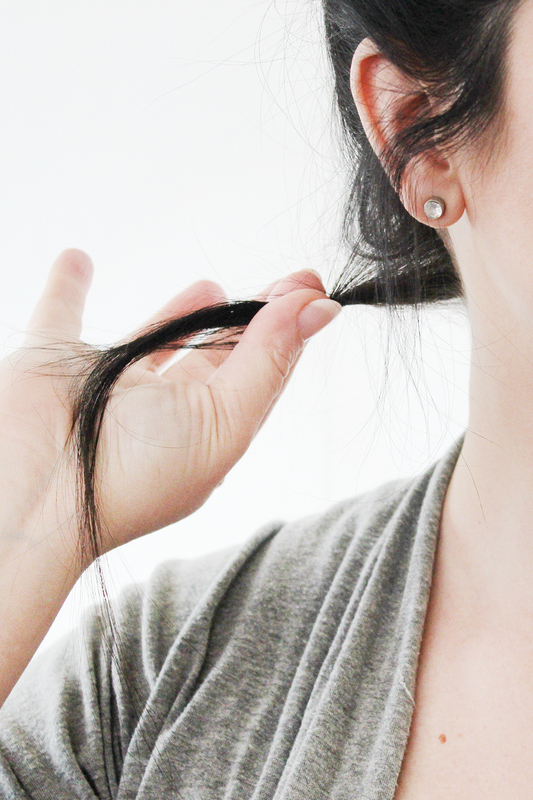 It may seem easier to wear the same ponytail or bun every day but it’s damaging your hair. Tight hairstyles constrain your hair, and placing your hair band in the same place daily will cause a ring of breakage around your hair. 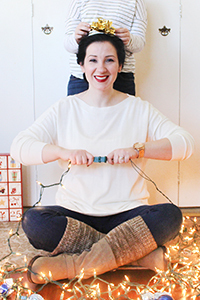 The Fix: Mix it up, and never sleep with your hair in an elastic! These tips will help you prevent a lot of the damage that happens during the life of your hair, but what if the damage is done? It's not too late to repair it. 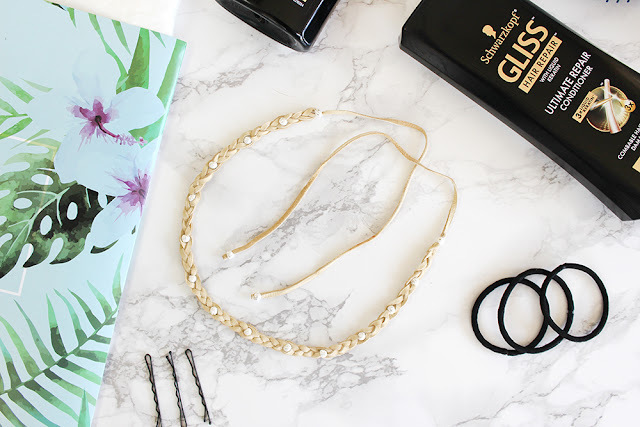 Take advantage of the incredible hair repair abilities of GLISS™. Aging hair loses Keratin over time. GLISS™ contains Hair-Identical Keratin to help replace lost Keratin for re-gained strength and a smoother hair surface. Their patented technology repairs up to 10 layers deep for beautifully strong & smooth hair. This line was actually recommended to me by a reader a while back and I wish I had picked it up sooner. 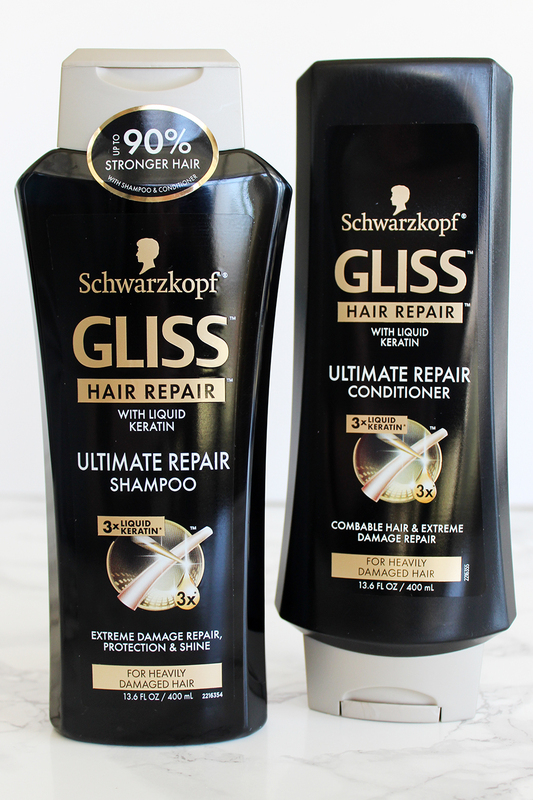 I'm using the Schwarzkopf Gliss™ Ultimate Repair Shampoo & Conditioner daily to help build strength and reduce breakage. The Ultimate Repair Anti-Damage Mask works along with them to deeply reconstruct hair and leave it instantly combable, shiny, and up to 95% stronger. Their Ultimate Repair Shampoo & Conditioner won the Allure Best of Beauty Award - best shampoo & conditioner for damaged hair and the Ultimate Repair Masks won Product of the Year - Most Innovated Hair Treatment of 2018 & also won People® Beauty Award for Best Hair Mask in 2017! 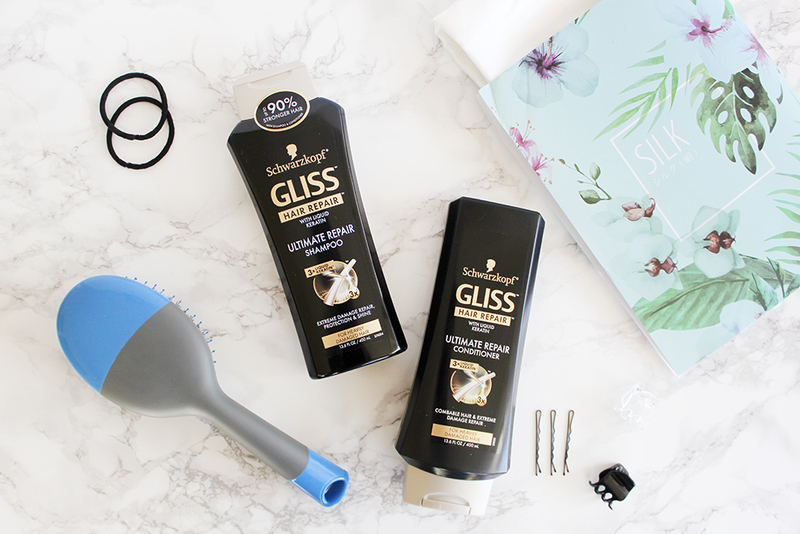 There are 4 varieties of GLISS™ to choose from, depending on your level of damage or if you color your hair. It's a daily shampoo and conditioner coupled with a treatment for the maximum effect. 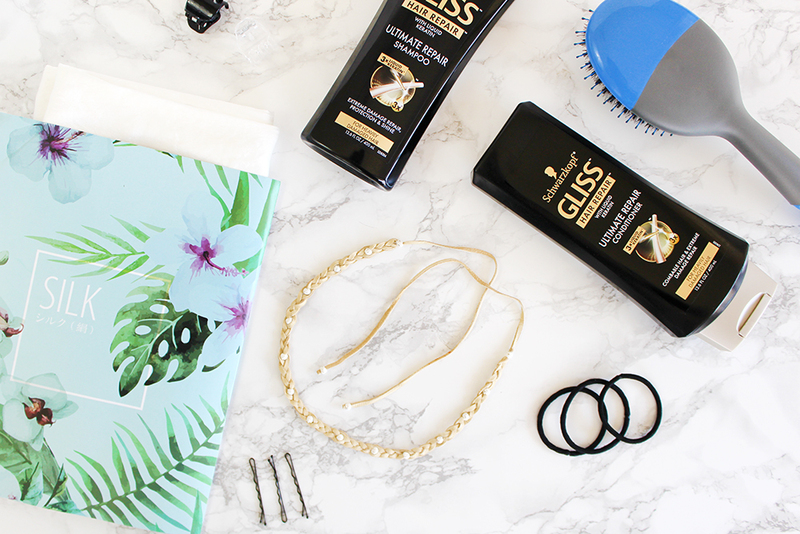 If you're looking for strong, healthy hair, GLISS™ is for you. 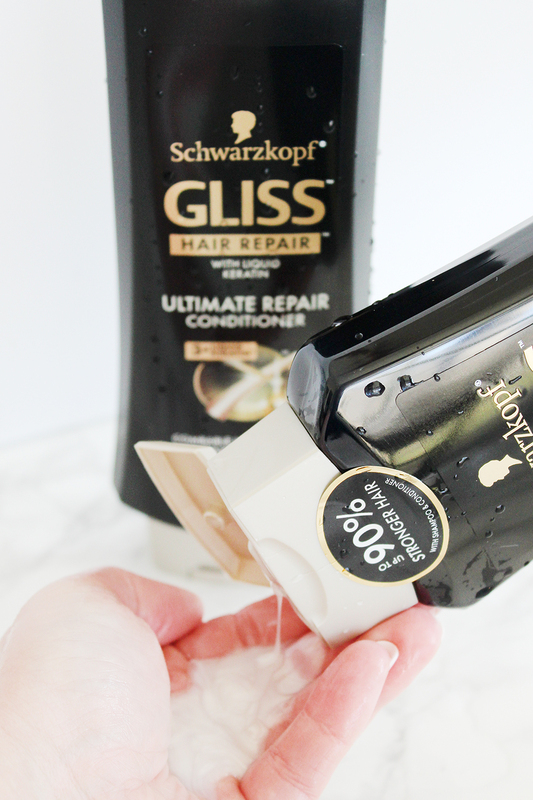 Check out the Schwarzkopf website to see which is your best GLISS™. I got mine (at full price) at my local CVS in the Shampoo & Conditioner section, but during the special event from Sunday 3/11/18 through Saturday 3/17/18 it will be on sale for 2 for $10! It's like a buy one get one free! 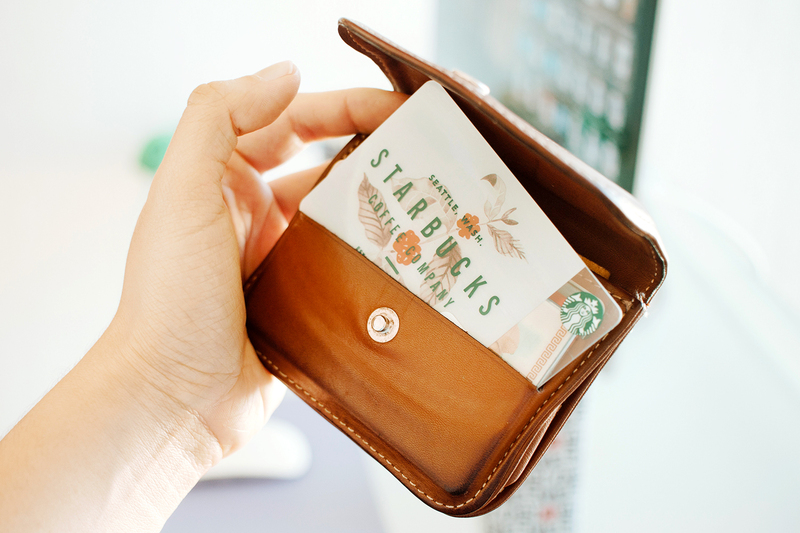 Guess who'll be stocking up this weekend. 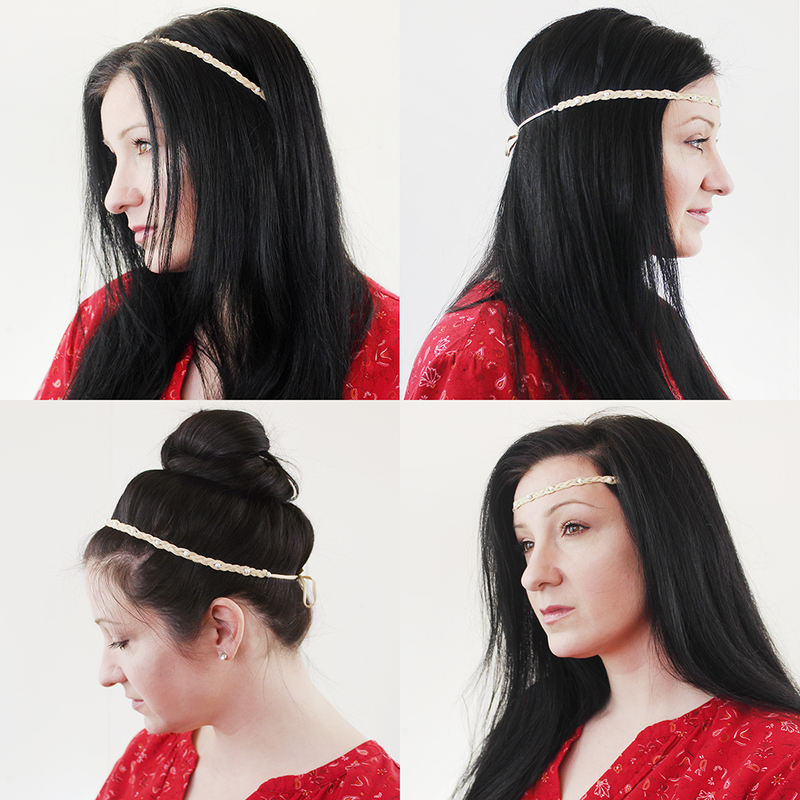 Now let's make that gorgeous and versatile leather headband for all of your spring hairstyles! I'm using a deerskin lace, but you can use faux leather or cotton cording if you don't want to use animal products. 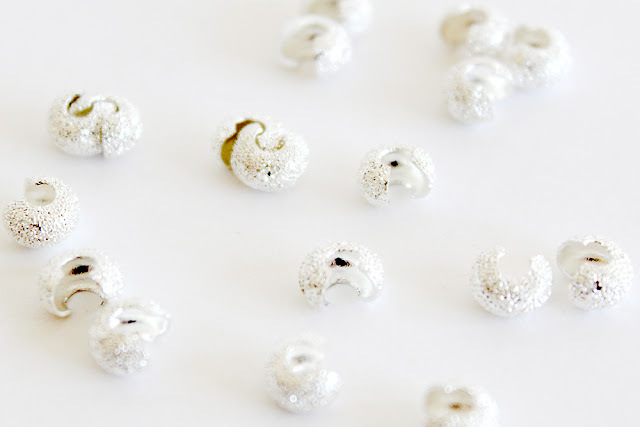 Note: A "crimp cover" is a hollow metal bead that is used to cover or hold something in place. You "crimp" it closed with a small pair of pliers. You can find these in the jewelry making section of a craft store and can come in lots of sizes, metal colors, and finishes. Mine are 6.5mm and I wouldn't go any smaller when working with thick cording or leather lace. 1. 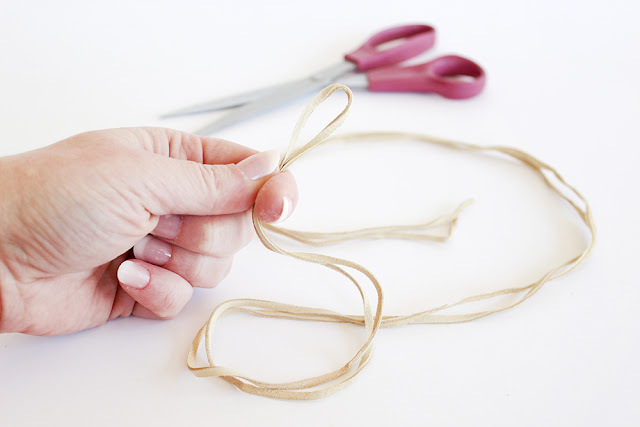 Unpackage your 2 yard length of cord and fold it in half to find the center. Cut it into 2 even pieces. 2. 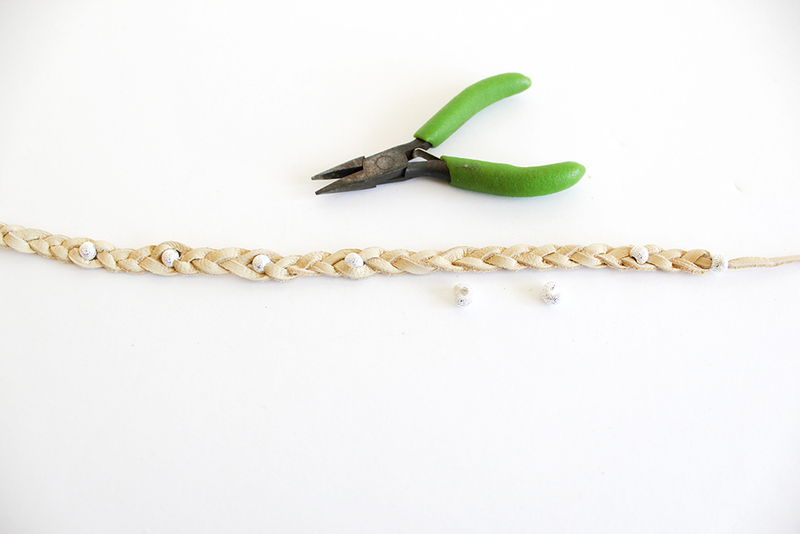 Set aside one long length for the main part of our headband. Cut the other into 2 equal pieces like before; These will be our braid pieces. 3. 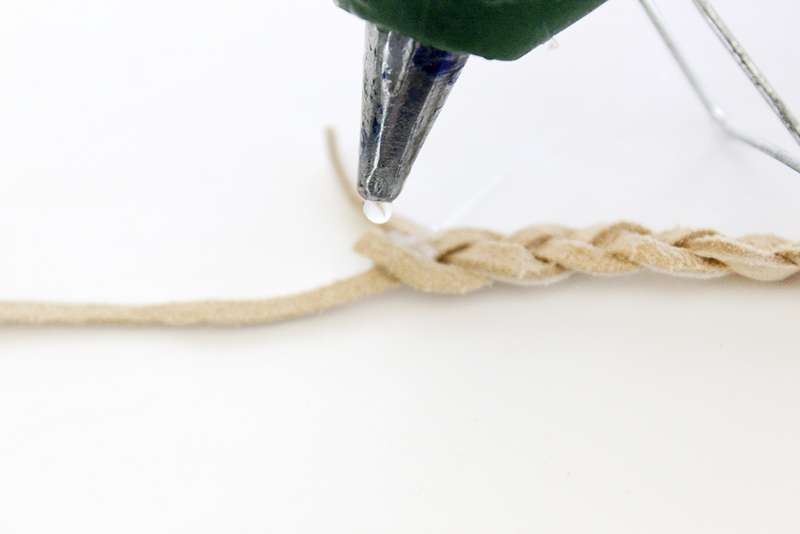 Fold each piece to find the center and use a pencil to lightly mark the back-center of each piece. 4. Pin or clamp all 3 pieces together at the center points. 5. 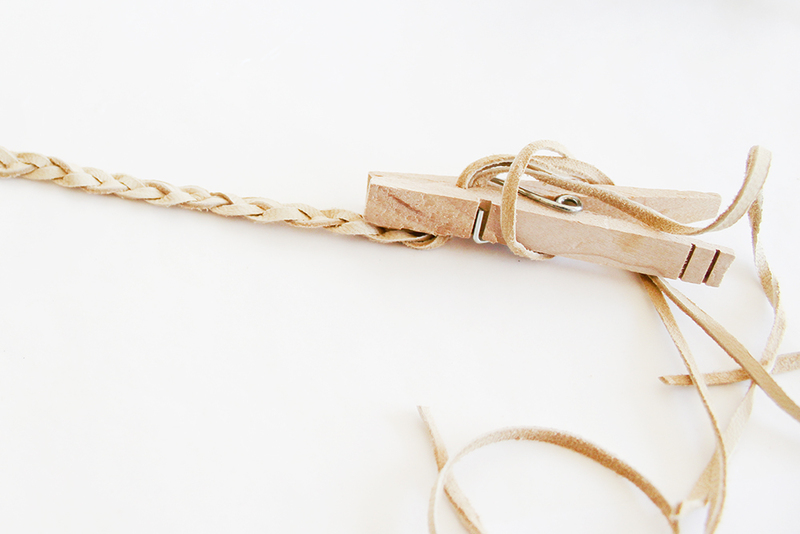 Start braiding one side from the center out, keeping the strands from twisting and the braid flat. 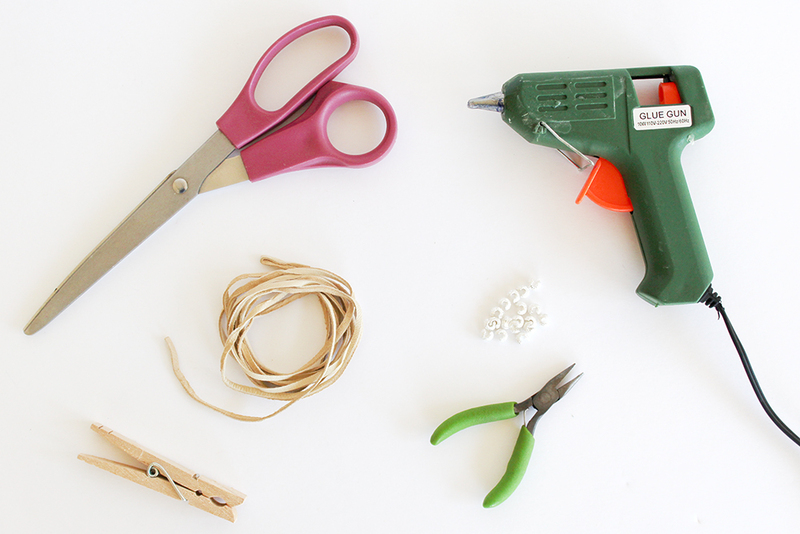 When you reach the end, use a small dot of hot glue to keep the strands in place. 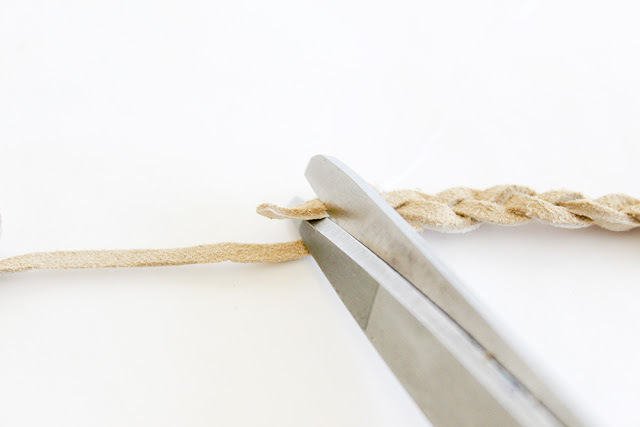 If one strand ends up a bit longer than the other, just clip it. 6. 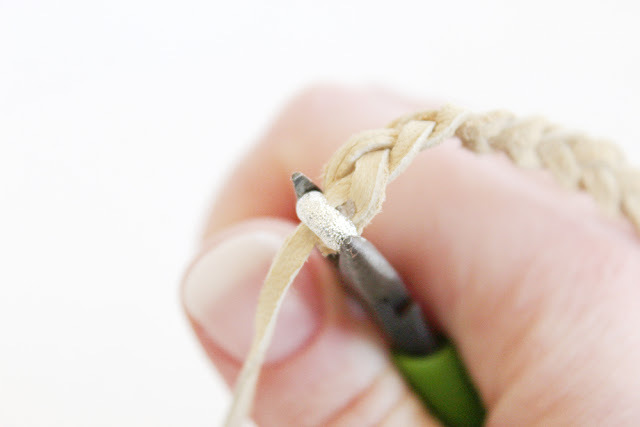 Cover the ends of the braid with a crimp cover and close with pliers to secure the ends. If you're having trouble fitting the crimp cover over 3 strands, insert the tip of your pliers inside the crimp cover as shown below and pull the handles open to widen the opening a bit. 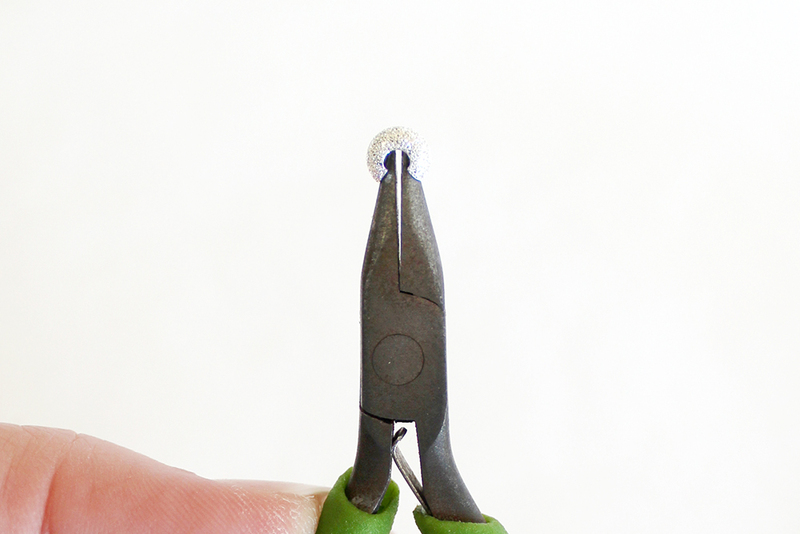 You can also use the tips of your pliers to coax all of the strands inside before closing. 8. Cap the tie ends of your headband with crimp covers. 9. I used 13 additional crimp covers to decorate the length of my headband. 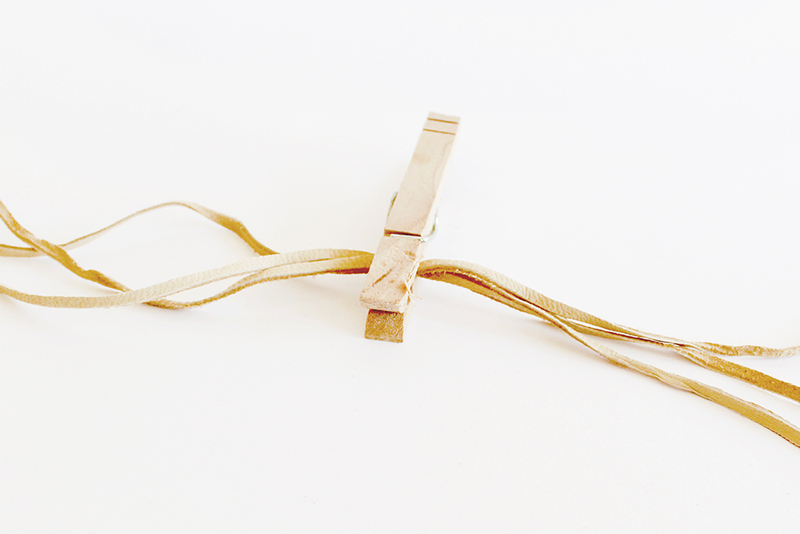 To do this, fold the headband in half to find the center, then work a crimp cover over the center strand to the back and close. Continue to add crimp covers at regular intervals until you like the look. You can use more or less than I did for your ideal bling! 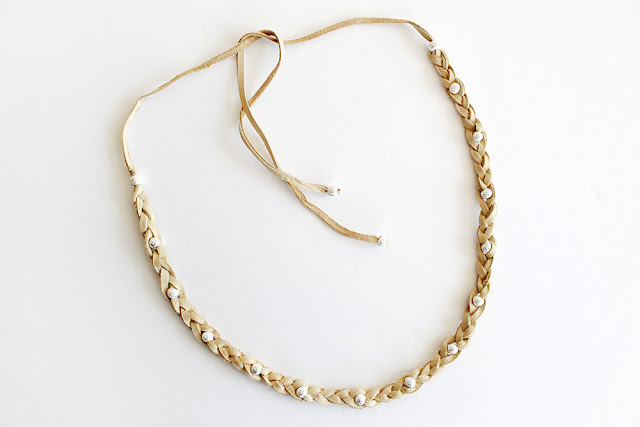 I hope you love your boho braided leather headband. 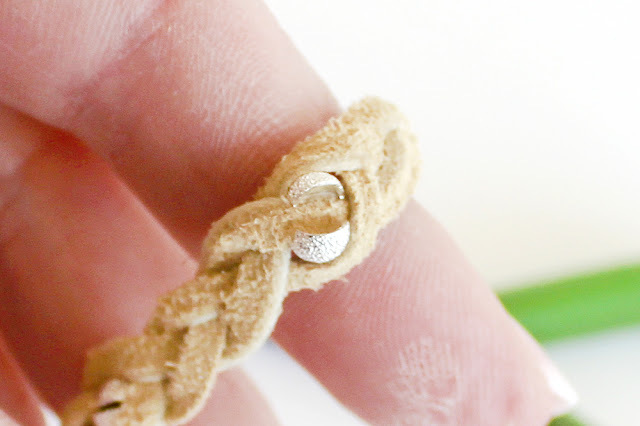 It's so easy to make and even easier to wear! Check out Scwarzkopf's Instagram feed for more inspiring hair ideas! How many bad hair habits are you guilty of? 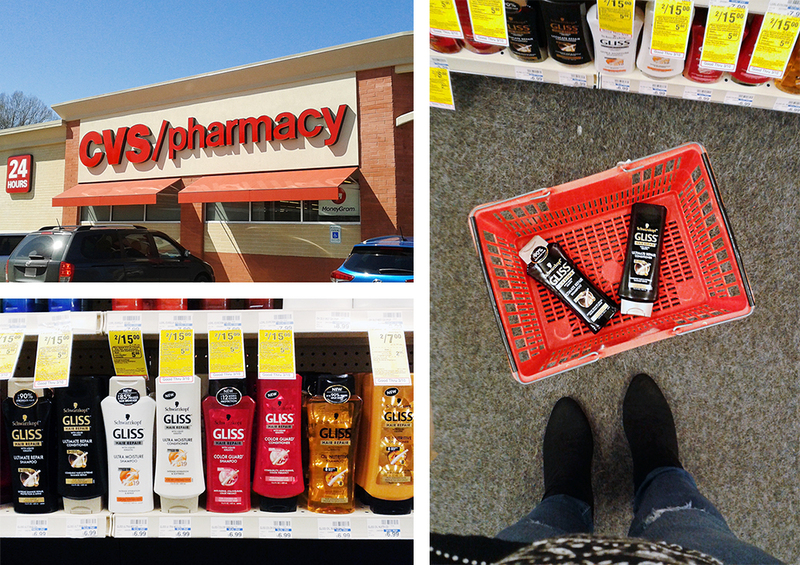 Have you tried GLISS? I love to read your comments!